Live in one of the world's most beautiful and exciting cities. 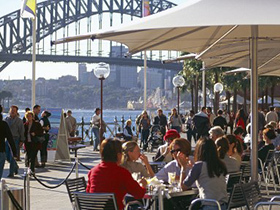 Under Sydney’s sunny skies, you can enjoy being outside almost any day of the year. The climate is warm, with the coldest months (June and July) averaging a maximum of 17°C. January and February are the hottest, with an average maximum of 26°C, though summer days can sometimes reach 40°C. To the east, you’ll find over seventy postcard-worthy beaches. To the west, the breathtaking Blue Mountains. You can explore pristine national parks, escape to the famous vineyards of the Hunter Valley, or take a road trip to the Snowy Mountains with Sydney as your vantage point. You’ll eat well in Sydney. Foodies are spoiled for choice, with an assortment of restaurants and cafés serving up Indian, Thai, Italian, Mexican, Chinese, Spanish, and Vietnamese cuisines, just to name a few. Our small bar scene is also booming, with plenty of intimate drinking spots — some hidden, others with international recognition. Check out The Urban List, Concrete Playground and Time Out for inspiration. 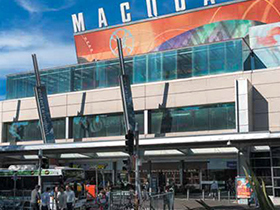 Get your shopping list ready, because Macquarie University is right across the road from Macquarie Centre, and a short ride to Westfield Chatswood. Sydney offers everything from bustling malls to market stalls, and you can find tucked-away boutiques, top artisans and designer brands to add to your itinerary on Sydney.com’s fashion and shopping page. Sydney is one of the 10 safest cities in the world, according to the Economist Intelligence Unit Safe Cities index 2015. 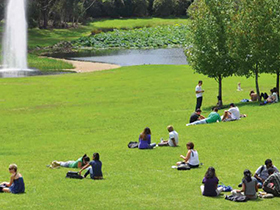 Find out more about staying safe as a Macquarie University student. 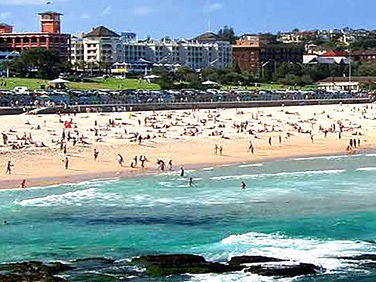 Find out more about what you can do and see in Sydney.